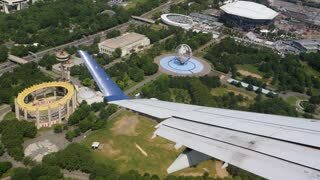 Search Results for "queens new york"
NEW YORK CITY - Circa June, 2017 - An aerial view of the Unisphere in Cornoa Park in Queens, New York, home to the 1964 World's Fair. A high angle aerial view of the Whitestone Bridge connecting New York City's Queens and Bronx boroughs. A high angle aerial view of the Throgs Neck Bridge connecting New York City's Queens and Bronx boroughs. A high angle aerial view of New York City's Queens borough. BREEZY POINT, QUEENS, NY-December 2, 2012: Breezy Point debris from home damaged by waves and storm surge by Hurricane Sandy. Video clip reveals child's toy cart pinned under deck in Queens, NY. BREEZY POINT, QUEENS, NY-December 2, 2012: Breezy Point debris from home damaged by waves and storm surge by Hurricane Sandy. Video clip pans across children's family toys and dolls in Queens, NY. A backhoe excavator empties debris into dump truck at a construction site in Queens, New York. Shot through a chain link fence. 1080p HD with natural sound. NEW YORK CITY, NY/USA - JULY 20, 2014. Ambulances and a motorcyclist drive by camera in Queens, New York. Low angle dolly shot. 1080p HD steadicam. NEW YORK CITY, NY/USA - JULY 20, 2014. 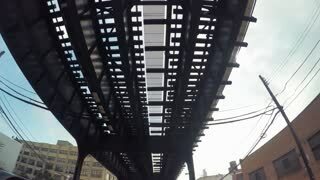 An establishing shot of Queen's Long Island City waterfront. Shot during the fall of 2016 in Queens, NY. Daytime exteriors of the Citigroup Building located at One Court Square in Queens, New York. LONG ISLAND CITY, NY/USA - AUGUST 18, 2014. Daytime exterior shot of the Citigroup Building with cloud movement. Located at One Court Square in Queens, New York. 1080p HD banking. LONG ISLAND CITY, NY/USA - AUGUST 18, 2014. MoMA PS1 exterior signage with pedestrians located in Queens, New York. 1080p HD with natural sound. LONG ISLAND CITY, NY/USA - AUGUST 18, 2014. The Breezy Point area of Queens New York is devastated by Hurricane Sandy. Urban area over Richmond Hill in Queens, New York. Snow covers crowded houses and streets. Ravenswood Generating Station power plant next to Queensborough Park in Long Island City, Queens, NY. Building the Unisphere in Queens New York. The construction of the Unisphere in Queen's New York. Waves crashing onto rocks at Fort Tilden Beach in Queens, New York during sunset.